It was another rough night. 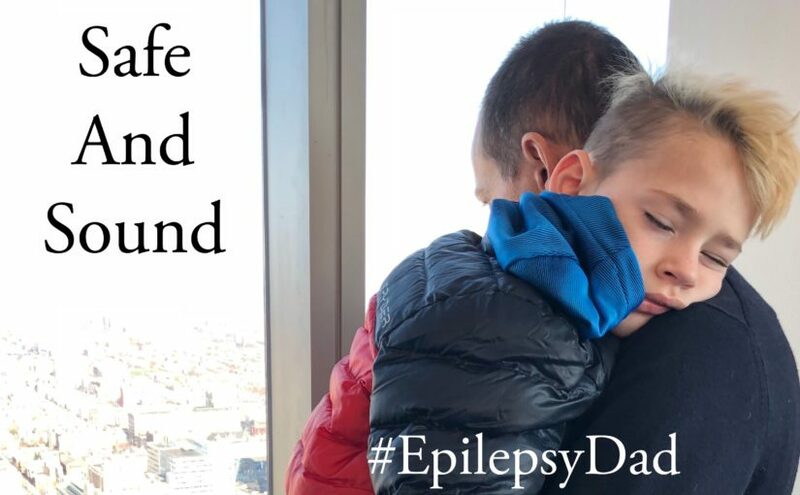 My son had a seizure shortly after going to bed and at least three the next morning. Fortunately, he was sleeping in our bed. It’s easier to catch the seizures and take care of him when he is with us. Lately, he started doing this thing where, after he has a seizure, he’ll sit up and try to climb out of bed. He’s not awake, it’s more of an electrical impulse that triggers the circuits in his brain that signal him to move. We comfort him during the seizure and then perform early morning Aikido and redirect his impulse to move in the direction of his pillow. Within a few seconds, he is back asleep. I went through the process for two of his seizures that morning. Comfort, Aikido, sleep. After the last one, I laid in bed with my eyes open and stared at the ceiling. My mind drifted to the question that I still can’t face. What would happen if we weren’t there? Who would be there to comfort him? Who would be there to keep him safe? The idea of him doing this alone seems impossible. The idea of him never being able to be on his own is heartbreaking. The thought that I will someday not be here to take care of him, to keep him safe, and to comfort him is what keeps me awake. The early morning mind is cruel. It is also calculating. It takes advantage of my incoherence to pose unanswerable questions when my defenses are down. It plants unanswerable questions and then sits back to watch the show. The two solutions I usually come up with are curing epilepsy or becoming immortal. One is just as likely as the next but neither is likely be to solved in my lifetime. And so I am left with the fear of the future. Not for my sake, but for his. Because I was supposed to be the one that took care of him, that showed him how to be a good man and sent him into the world to make his own way. But I don’t know how to do that when I watch his body seize over and over. The more seizures he has, the more impossible it seems that he’ll be able to make his own way. I’m fighting back the inevitable reality that no matter what I do, I may fail. But even if I’m not, I’ll never stop fighting.